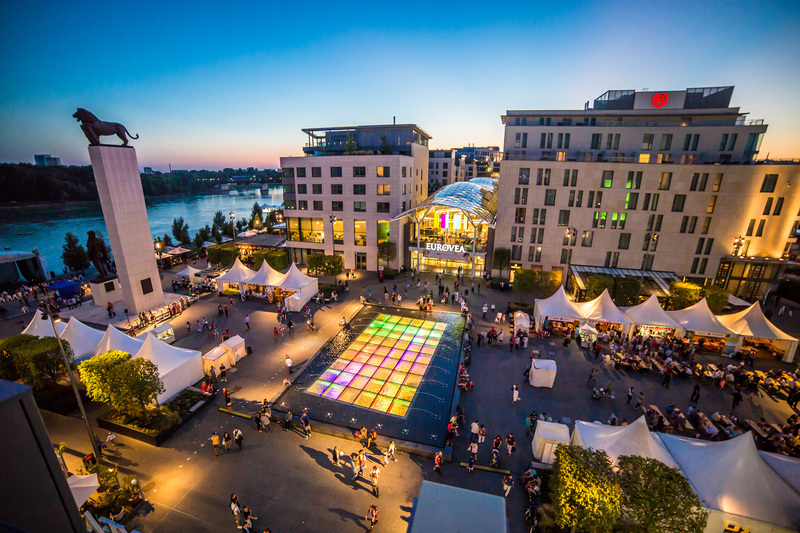 This modern shopping center opened its doors in 2010 and its attractive location on the bank of the Danube river has turned it into a favorite place for shopping, living and relaxing. In addition to all major brand merchandise, there are fantastic restaurants and cafes with terraces only a few meters from the Danube, perfect places to get away from it all during hot summer days or long winter evenings. The entire complex includes offices and a Hotel Sheraton. Just adjacent to the shopping mall neighborhood is the new Slovak National Theater building to complement this modern part of Bratislava. Another remarkable feature is the sculptures produced by English artist Colin Spofforth, each of which has its own name and character, all tied to a fairy tale written by Colin’s wife about “Six White Mice”. Apartments, a luxury hotel, a restaurant and fantastic vistas of either the Danube or a leisure area for relaxing amidst lots of green all await anyone visiting the River Park multipurpose complex. River Park also has a dance school and an exclusive spa offering the best views. The Grand Hotel River Park’s summer terrace guarantees a place to rest while watching the sun set and a chance to enjoy a drink. The Museum of Modern Art is only a short drive by car or bus from the city center. 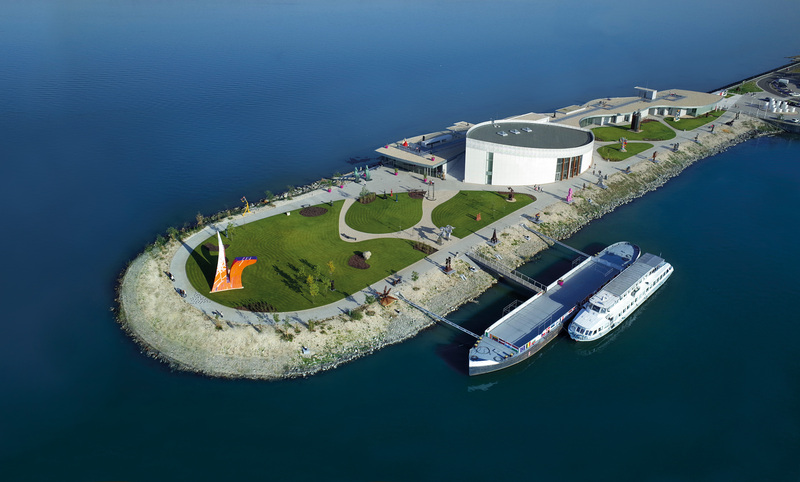 During the summer months a cruise along the Danube directly to the museum is well recommended. The entire museum is surrounded by a park more than 8,000 square meters in area with permanent exhibitions of sculptures by Slovak and international artists. Take the time to enhance your visit with a coffee and cake with the best view of the Danube from the museum’s panoramic windows. This unbeatably designed office complex is located near the Aupark Shopping Center. 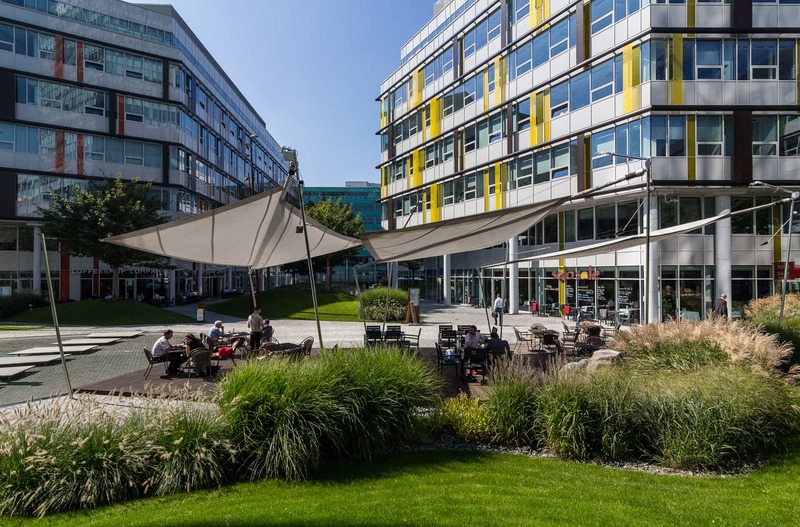 What distinguishes Digital Park is the large amount of space devoted to relaxation, ideal for a quick lunch or meeting with colleagues. 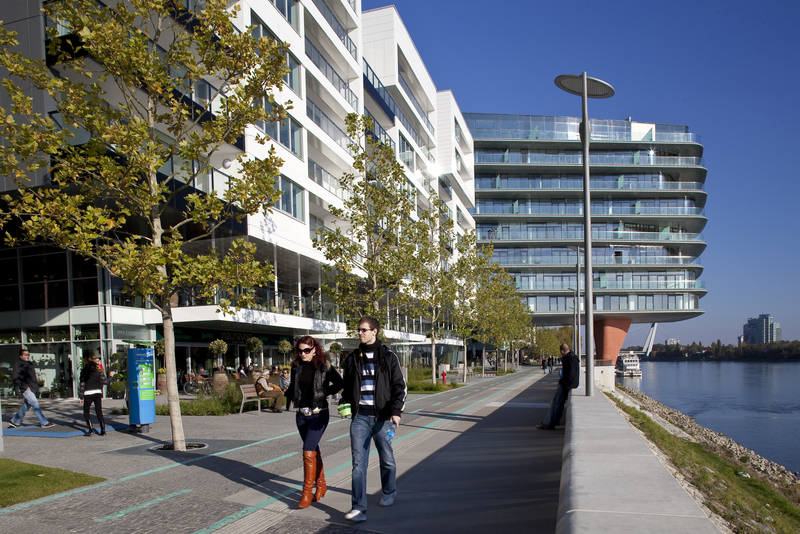 The complex’s pleasant environment is complemented by a number of nearby parks and spots on the bank of the river. 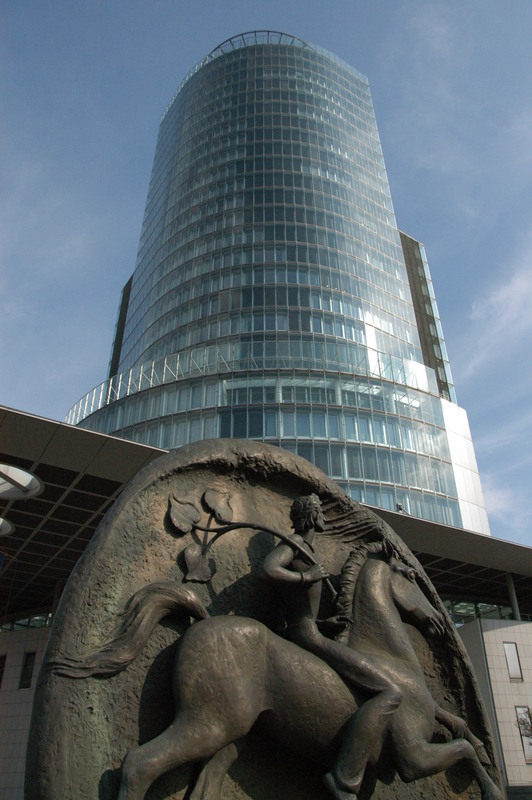 One of the most noticeable buildings in the city’s skyline is the National Bank of Slovakia headquarters, which was opened in 2002 and rises to a height of 111 meters. One of the building’s attractions is its 23 elevators, six of which are able to move at a speed of 3.15 meters per second. More than 1,000 people work inside the NBS building and there is a heliport located on the roof. This modern administrative complex is one of the largest in the region, providing shops, restaurants and other services in addition to offices. All of the offices feature state-of-the-art, environmentally friendly technologies and provide a splendid atmosphere thanks to the work-life balance concept behind them. 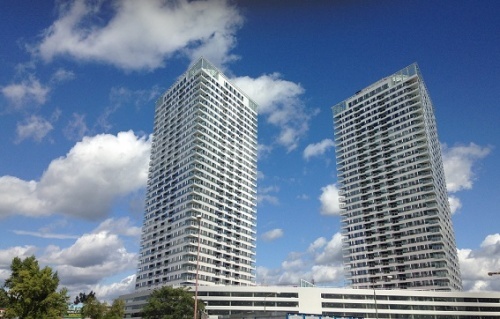 Not far from the Eurovea Shopping Center, two residential towers have risen whose 33 floors provide living in a total 605 units. 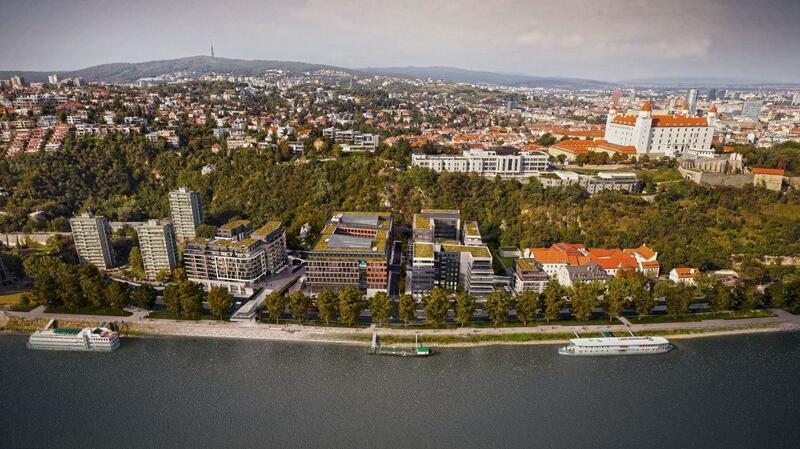 The project also offers both residents and visitors shops, restaurants and excellent public facilities in what is increasingly becoming a popular location along the Danube. Its modern design and 21st century architecture contributed toward Panorama City being named 2016 Building of the Year. This multipurpose complex of seven buildings is located below Bratislava Castle and offers cafés and small shops in addition to overlooks of the Danube and Castile Hill. More than half of the entire is set aside for the public, making Zuckermandel the ideal place to spend leisure time with family or friends. The design of the buildings with their different facades completes the natural urban environment. One of the latest projects in the city brings the architecture of world-famous designer Zaha Hadid to Bratislava in three exclusive residential buildings. The city’s former industrial zone once again comes to life and gains new sparkle, taking advantage of Sky Park’s ideal location close to the city center. Sky Park is adjacent to the bank of the Danube River, a year-round favorite spot to relax and experience wonderful dining at nearby restaurants. 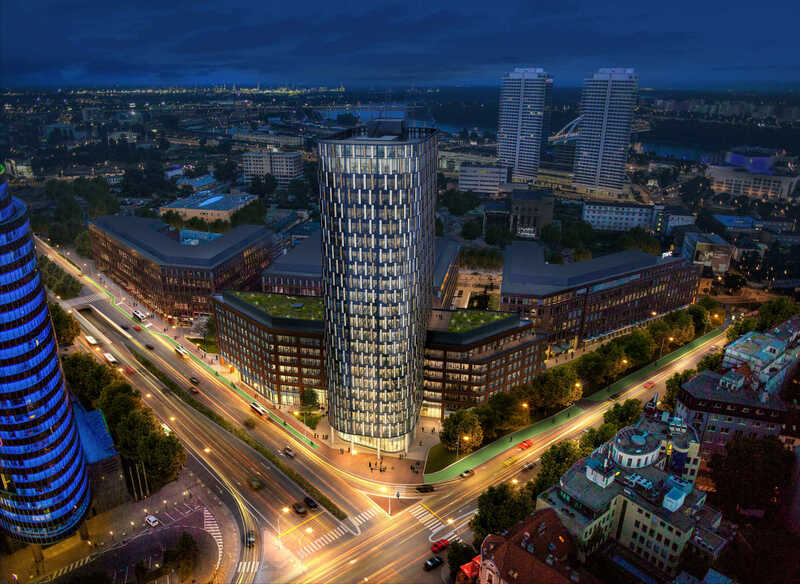 Another project taking shape in an increasingly popular area near the Danube is Twin City, which consists of a planned 24-floor tower and three other office buildings. Illuminated rooms, triple-glazing windows and a charging station of electric cards are going to be standard features. Nearby Twin City is a number of local cafés and restaurants.